If you have declared another compact state as your primary state of residence, in accordance with the Nurse Licensure Compact § 90-174.84, you cannot renew your North Carolina license. 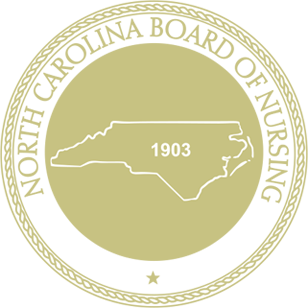 Your North Carolina nursing license WILL NOT BE RENEWED until proof of residence is received showing North Carolina as your primary state of residence. Once you declare North Carolina as your primary state of residence, you must immediately change your address via your Nurse Gateway portal. Submission of your online application should not be construed as automatic renewal of your license. The North Carolina Board of Nursing must verify that you have met all the conditions for renewal before your license is renewed. Licenses are valid for two (2) years. Log in to your profile . Please keep your Username and Password in a secure location as you will need this information to access your Nurse Gateway profile. Apply for licensure by renewal ($100.00) with the North Carolina Board of Nursing. To apply for licensure by renewal, access your Nurse Gateway profile and select the 'EXPIRING SOON!' tile which indicates your license under the 'Licenses/Approval to Practice/Certifications' tab. Select 'Renewal/Reinstatement' on the following page.